In in an effort to reduce cash dependency and improve financial inclusion, Tanzania National Microfinance Bank (NMB) and MasterCard have agreed to offer 1.5 million MasterCard payment cards to Tanzania banking customers over the next seven years. 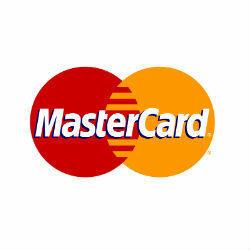 The new payment cards will include the latest contactless technology available from MasterCard and will be the largest distribution of contactless MasterCard payment cards in Tanzania. According to MasterCard’s President of sub-Saharan Africa, Daniel Monehin, the partnership will provide a convenient and reliable method of payment to customers by combining MasterCard’s global payment technology with the growing network of NMB branches, e-money cashpoints and ATM locations. The CEO of NMB, Mark Wiessing, echoed the excitement and indicated that, because consumers in Tanzania are moving from a cash economy to a cashless economy, the partnership is both timely and important in helping their customers to more easily transition. “NMB Bank is committed to providing innovative solutions and banking services to individuals as well as small and medium sized businesses,” he explained.